Enjoy Lake City (ELC) recently visited Marie Spencer at Pony Express, a Lake City Shipping and Packaging store. 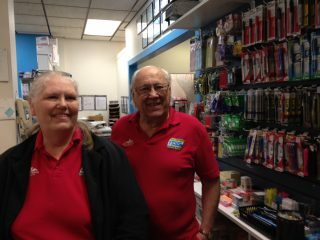 Marie and her husband Rod have owned the store for over 22 years. Marie shared her thoughts on the changes, challenges and surprises that come with owning a business. ELC: How did Pony Express get started? It was 12 guys who got together one night in 1982 and thought it would be really cool if Grandma could send a gift to a grandson through UPS to make sure that it got there. But UPS wouldn’t work with anybody but businesses at that time, so these guys said, let’s open a business that ships for grandmas. So they all opened up around the Seattle, Everett, Lynnwood area just doing UPS and Fed Ex shipping. At that time, we co-opted together – the bookkeeper divvied out the bills so that each location paid their own bills. As we grew, we grew into our own entities and got our own account numbers, so now we’re an independent mail and parcel center. 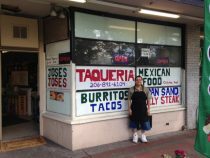 Enjoy Lake City visited Jose’s Taqueria, for some great carne asada tacos, chorizo burritos and a chat with owner Alberto Morales. Joining us was our friend, the Mystery Diner. 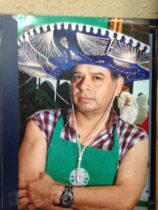 Enjoy Lake City (ELC): Why did you name your restaurant Jose’s?